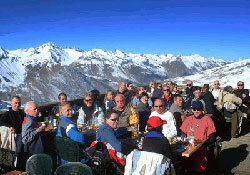 Every season SingleSport offers several ski holidays for solo travellers. Click details below for a list of dates. In the summer Singlesport provides active beach club holidays offering the opportunity to try a wide variety of sports on land & sea. 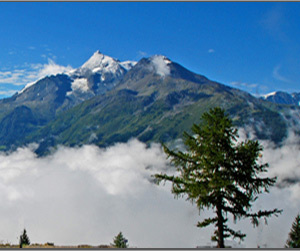 SingleSport is the leading ski specialist for solo ski holidays and snowboarder holidays since 2001. We offer the opportunity for singles and solo travellers to ski and snowboard in several of Europe’s top ski resorts and usually one holiday in North America too. SingleSport is not a dating agency. Some of our members are single but many have partners at home who do not share their love of sport. SingleSport will find you someone to share with so there will be no single supplement. Almost all the rooms we offer are twins with en suite facilities rather than triples and quads that many companies use. As most rooms are built for shared occupancy we ask our tour operators to charge a reasonable supplement to those who choose to take a twin room for single occupancy. We never add the single supplement into the base price and then tell you it’s a single room without supplement unless it really is! Whilst SingleSport does all the booking and creates the group your money goes direct to the tour operator so that your contract is with them. 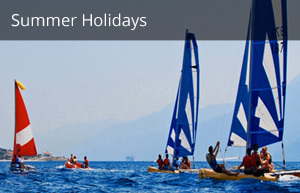 SingleSport respects that you want to choose how you spend your holiday. 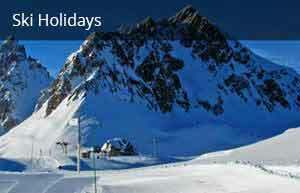 We therefore provide different types of ski and snowboard holidays. In Courchevel we have ski holidays for solos with 10 hours of lessons included so that no matter what your ability you can enjoy a social ski group whilst making sure you improve as well. In Kaprun we have ski lessons all day to start the ski season off in November. In February we usually go to North America, skiers and boarders of all abilities are welcome. SingleSport summer beach clubs give a huge choice of activities on land, water and in deckchairs! On 8 June 2019 we will be in Croatia and on 28 September 2019 we will be in Turkey. The price includes half board, a flight & all the activities. We do not travel every week because we try to have larger groups (20-80 single/solo skiers and snowboarders) to enable you to find like-minded friends who ski or apres or sun just the way you do, this opportunity would be limited in smaller groups. Some start early, some prefer a lie in. Some want lessons some do not. Some are technical sportsmen whilst others think skis are to enable them to join up restaurants and summer sun is best spent in deckchairs! SingleSport caters for us all. SingleSport has a wide range of ages, whilst the majority might be over 40 there are many older and younger from 20s to 70s. Sport is a great leveller and we find that friendships have more to do with sporting ability than age, until it’s time to go out at night and that’s very different! Some curl up with cocoa (well OK wine then!) whilst others are out on the town. SingleSport makes it easy to meet new friends. Before we leave the UK you will get a list of guests on your holiday so you can introduce yourself to those who live nearby and may share a car to the airport and parking costs if you are on the same flight. On our smaller holidays where we have 20 or 30 guests it’s easy to meet everyone in the hotel but in Courchevel where we often have over 80 guests in several chalets it is a social whirl! About 60% of guests are repeats and so they will introduce newcomers to friends they met in previous years. By going to lessons you get to meet guests staying in other chalets who ski exactly the way you do and who you can free ski with at your pace after the lesson. Of course there are drinks parties and other social events during the week too, you can party as much or as little as you choose. Ruth, who founded SingleSport, still offers a personal service. Booking a solo ski holiday can be a risky business and everyone has different criteria and different levels of experience and expectations. Some people fly every day of the week on business whilst others may never have booked their own flight before. Some are expert skiers whilst others are beginners. Whatever your worry you can talk to Ruth on email or telephone before you book to make sure the holiday will be right for you. Ruth will know who has already booked and will usually be on the holiday herself to make sure that all the promises are lived up to!